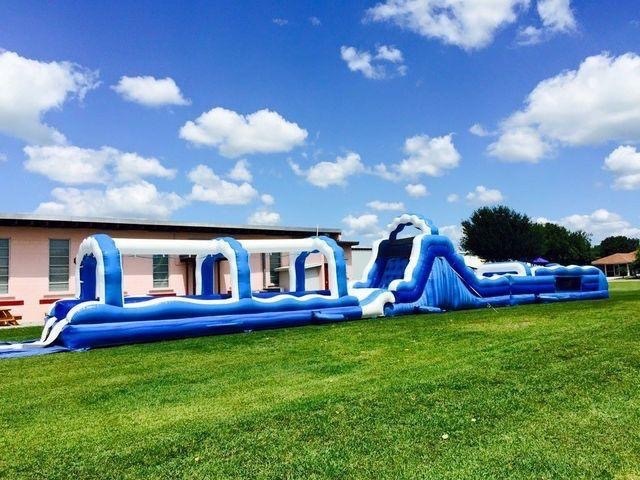 If you're looking for a challenge, Busy Bee Party Rentals has the best obstacle course rentals in West Palm Beach, Fort Myers, Naples and the surrounding areas in South Florida. These large inflatable courses are tons of fun and come in all different shapes and sizes. Your guests won't be able to kick their shoes off fast enough to line up for their chance to race through the obstacle course. Kids, teens and even adults will have a blast jumping, crawling, and even sliding through these large inflatable obstacle course rentals. Our obstacle course are the perfect fit for a backyard birthday party or large events where there will be a lots of guests. The best part about our obstacle course inflatables is that there are a constant flow of participants, so they are perfect for large events with lots of participants. Unlike a bounce house, participants start on one end and exit on the other. These inflatable course are perfect for children and adults alike. Most of our obstacle course can be rented dry OR wet. For example, the flagship of our fleet is our Wet Mega Obstacle Course. This course consists of 3 separate pieces, so you can also create a few different combinations. With several different options to choose from, we certain we'll be able to provide the perfect choice for your next event. 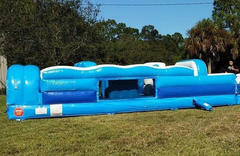 Some of our obstacle courses can be rented wet and our foam machine rental is the perfect addition. Busy Bee Party Rentals has the best selection large, colorful bounce house rentals for our customers in Fort Myers, Naples, West Palm Beach, Loxahatchee, Wellington, Clewiston, Belle Glade, Lehigh, Immokalee and other surrounding areas in South Florida. Browse the selections below and click the image or title for more information and to request a quote. We welcome all questions, please contact us for inquires and orders. Click below to book the best obstacle course rentals in Naples, Fort Myers, West Palm Beach, Belle Glade, Lehigh, Immokalee and surrounding areas in South Florida.